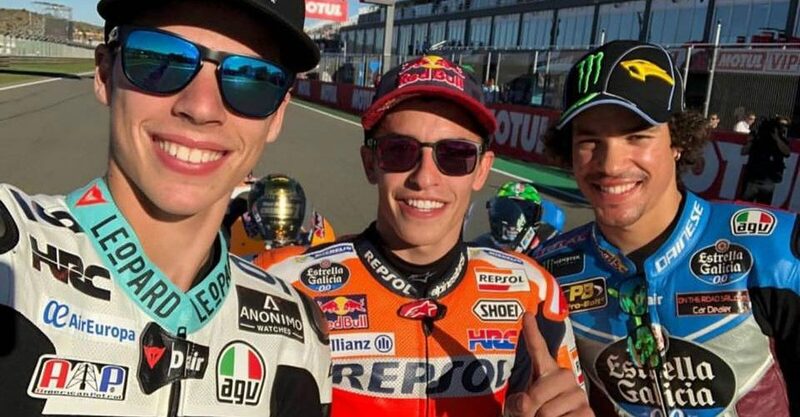 The 24-yearold Spanish rider Marc Marquez (Repsol Honda Team) finished the race in 3rd and took his sixth world title and fourth MotoGP World Championship. All this after what could be a devastating mistake when his front end slipped in Turn 1 causing him to practically drop the bike and run off track. After ran incredible save, he re-joined the race in 5th. Title rival Andrea Dovizioso (Ducati Team) suffered a similar fate but was unable to save it and crashed out of contention in the race, losing any hope of a Championship victory. While all eyes were on the two riders leading the Moto GP Championship, we really must not forget the duel to the line between Repsol Honda Team’s Dani Pedrosa and Monster Yamaha Tech 3’s Johann Zarco. Frenchman put on an amazing race, leading almost to the end after Marc Marquez let him through in the beginning of the race. In the final lap however, Pedrosa rushed by, disabling any thought of retaliation. This brought the second rider at Honda, Dani Pedrosa, to secure his second victory of the year. Dovizioso made a good start move up to 6th, then quickly sliding past Andrea Iannone (Team Suzuki Ecstar) just to get stuck behind the Ducati of Jorge Lorenzo. Even after multiple suggestions by the team (suggest mapping 8), to let Dovi pass, Lorenzo kept going hard, not allowing the rider to pass. With only a couple laps to go, Jorge Lorenzo crashed hard, but was unfortunately soon followed by Andrea Dovizioso as well. Alex Rins (Team Suzuki Ecstar) put on a stunning show, landing him in 4th, ahead of Valentino Rossi (Movistar Yamaha MotoGP) after the Doctor showed he had quite a few problems during the race. Iannone dropped a few places after a run off at Turn 1 to take sixth, which is an amazing finish judging by the way his 2017 season went. Another part of a great final race was put on by EG 0,0 Marc VDS for Jack Miller in 7th. 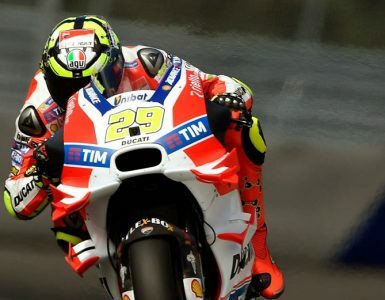 Cal Crutchlow (LCR Honda) moved up to 8th, while Michele Pirro (Ducati Team) made another great wildcard race finishing in 9th. Tito Rabat (EG 0,0 Marc VDS) circled off the first 10 riders. Therefore, this is the end of 2017 exciting finale, a season that proved to be packed with great surprises and even more exciting action. In just a couple of days, this will all be history. On Tuesday the first 2018 tests begin in Valencia! 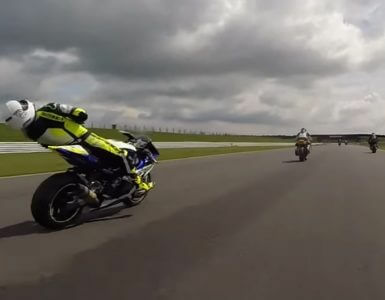 There’s really no good time and place to get knocked unconscious on the motorcycle, especially if you’re smacked in the head by flying bike parts while roaring down a long straight at over 140 mph! The fact that the Kawasaki Ninja H2R was born to break records and push limits way beyond the borders known to man is no secret, so the fact that Kenan Sofuoglu reached 400 km/h (249 mph) is no surprise.